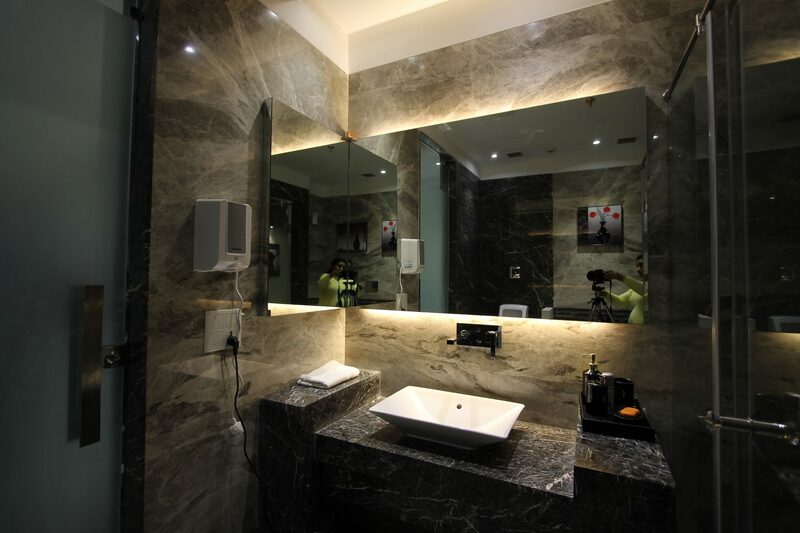 For this Real Estate client, making the right impression was very important. Keeping this in mind, the architects planned their corporate office spread across 5,000 sq. ft. area at Netaji Subhash Place, Pitampura, New Delhi. 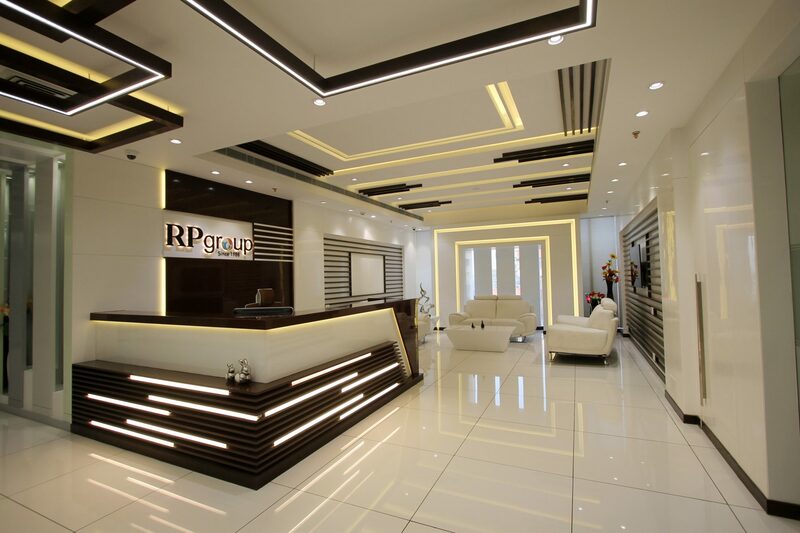 The client needed a space, which would help them communicate their position in the city’s real estate market to their prospective investors, while carrying out operations essential to company’s growth. 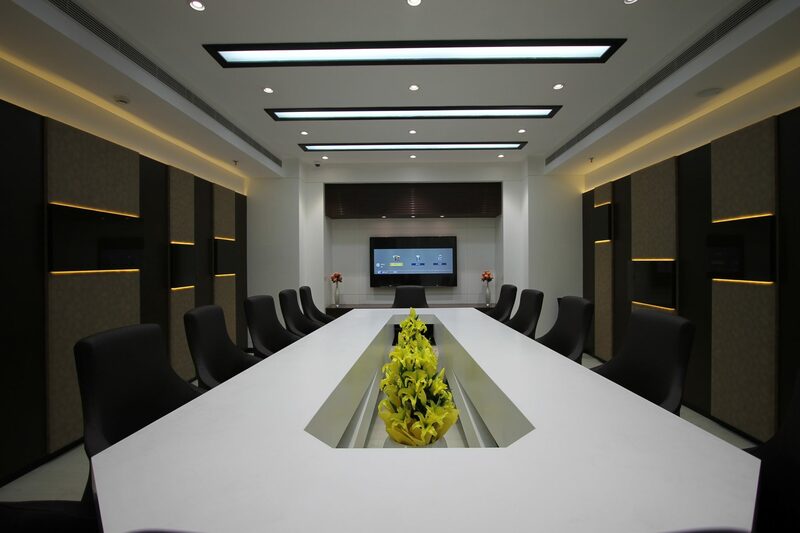 The space was also required to act like a thinking zone for the senior management to seal the deals, form ideas and put plans into action. 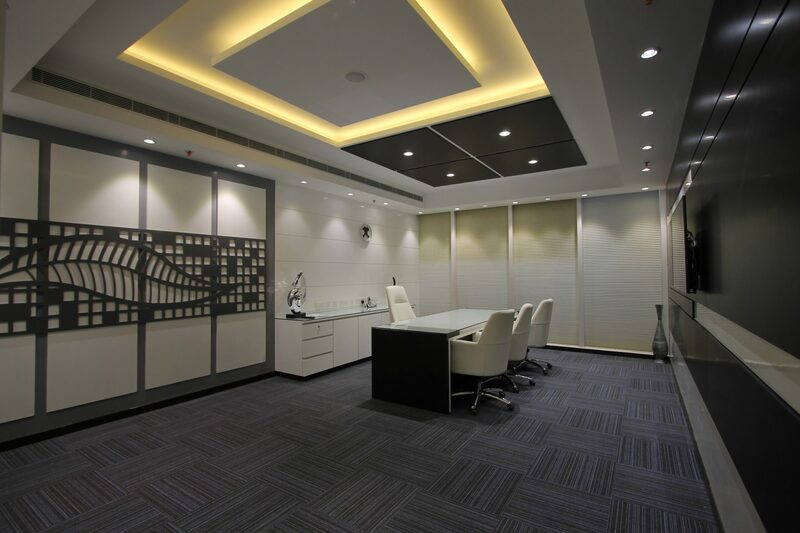 The interiors sees clean segregation of space planning like workstations, conference rooms, waiting lounges, director offices, accounts and other ancillary areas.As the space lacked significant access to daylight, introduction of light became the starting point for design. 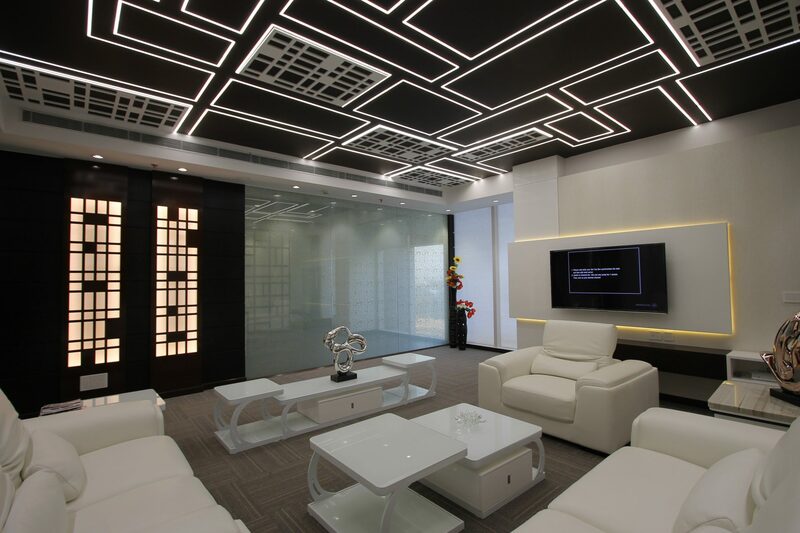 Furniture, space partitions and ceilings were designed such that light strips in varying shapes and sizes could be integrated within to re-create the subtlety of ambient day lighting. 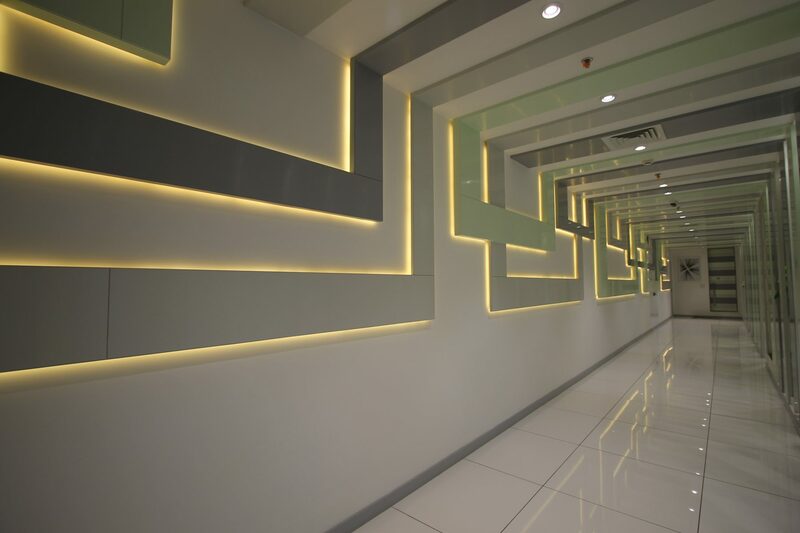 Composition of light bands coupled with placid colour tones in basic geometric forms throughout the facility evokes simplicity and conformity. The perpendicular glass planes in the partition afforded angular slits of varying widths to the person walking in the corridor, while adding a degree of activity with its extension in the ceiling. Monotone colours, texture, fabrics, glass with wood accents are used as tools for clean, uncluttered spaces to form an environment from which nothing could be added or taken away.